Drive across the causeway to this tropical barrier isle and feel time slow to a carefree relaxing pace! Built in 1999... this Bermuda Bay Club condo is furnished in contemporary, tropical décor... located on quiet, dead-end lane off Anna Maria Island's Gulf Drive in a Gulf to Bay Complex. The private beach is directly across the street only 250 yards... Relax and enjoy beautiful Gulf of Mexico Sunsets...Bay dock is 100 yards from front door, stroll with your coffee and enjoy great sunrise views!.. Rentals for sea-doo, hobie-cats, kayaks and paddle boards right on beach. Parasailing nearby. Beach chairs, umbrellas and toys are provided. Living room deck overlooks heated pool and hot tub, great for families. Beautiful remodeled home, with new appliances, Tv's in all the rooms. Great internet, view overlooking the pool and partial view of the bay. End unit with plenty of light. Beach right across the street, with miles of light sand and blue green water. Bermuda Bay is one the most sought after properties on the entire Island, warm pool, refreshing jacuzzi spa, bbq area, scenic walkway to the bay. You will love it!!!!! All new appliances, very user friendly. We had adjoining units with 2 families from MI for our 3 daughters on Senior Spring Break. This location was ideal! Right across the street from beautiful beach access. Condo was well stocked and very comfortable. Within walking distance to many wonderful eateries. Would love to make it back another time. Lots of stairs but overall a great place! 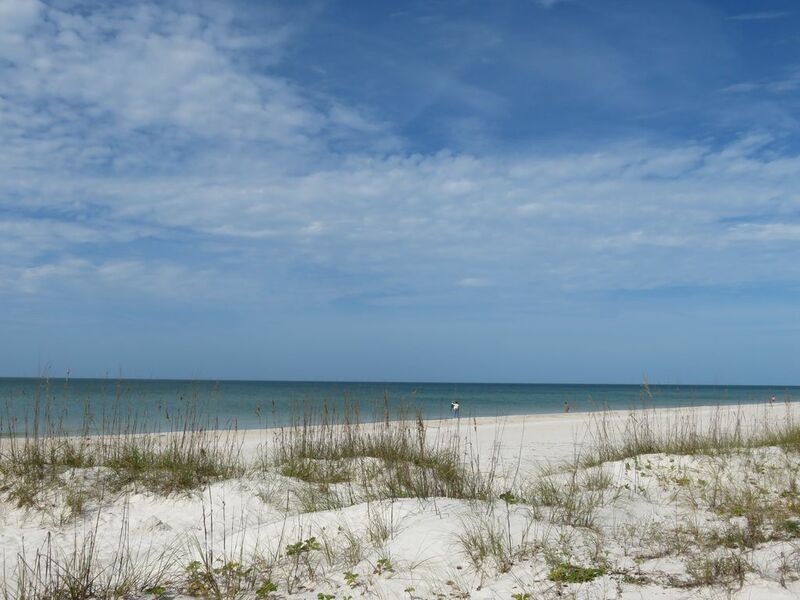 Town home directly across from the beach; easy access to everything on Anna Maria Island. Rick was great to work with and was very responsive. This was our first trip so I don't really have anything to compare it to. It was a very nice condo, it was everything VRBO said it was. Had a great time and the island was fantastic. Pool was very warm and hot-tub was just that - hot. Not 100% sure I will be back to the island but it will definitely be on my short list. The property is well equipped ,spacious and right across the road from the beach . The Gulf Drive Cafe ,our favourite watering hole has a good selection of cocktails and ales.The view from the gulf side is amazing and ideal for watching the sun go down.The property is a little tired in places with drawers not fitting properly ,and the en suite shower basin ready for replacement .The property would benefit from guttering being fitted to the L shape over the main patio door to the balcony.When it rained the whole area was soaked and green mildew were apparent on the plastic deck and parasol due to the sheer volume of water cascading off the roof.We also had an incident of rowdy behaviour in the pool but the agent and president dealt with it effectively.In summary a fantastic spot and condo with some improvers. The property was wonderful! Perfect location next to the beach, and the grounds were very clean and well maintained. We had lots of room. The filter on the air conditioner unit had not been changed in awhile so it was very dirty, but thankfully there was a spare in the property.